Portugal is the most western country in Europe placed on the shores of the Atlantic Ocean. It is a place where people from all around the world feel like at home. So, it is not a surprise that tourism is the source of income for many people in Portugal. There are many great places in Portugal and some regions are completely dedicated to tourism. 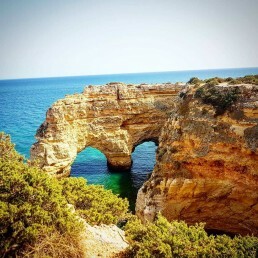 One of them is the most southern region of the country – Algarve. It is the top tourist centre in entire Portugal and one of the most charming destinations in all Europe, too.